New for 2019... Join us at the Farmer's Table for an evening of food on the farm. 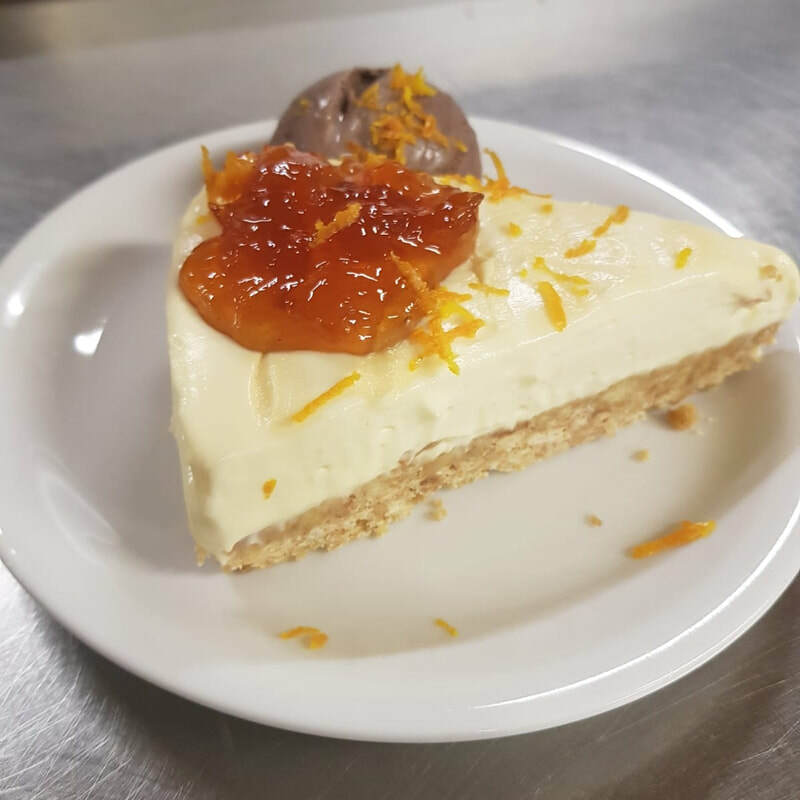 It's a way for us to showcase the very best of the north-west: fresh, local, seasonal food prepared for you in a relaxing farm setting. 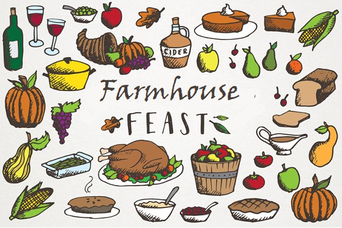 Our next Farmer's Table is the Farmhouse Feast: two or three courses of classic, filling farmhouse food. 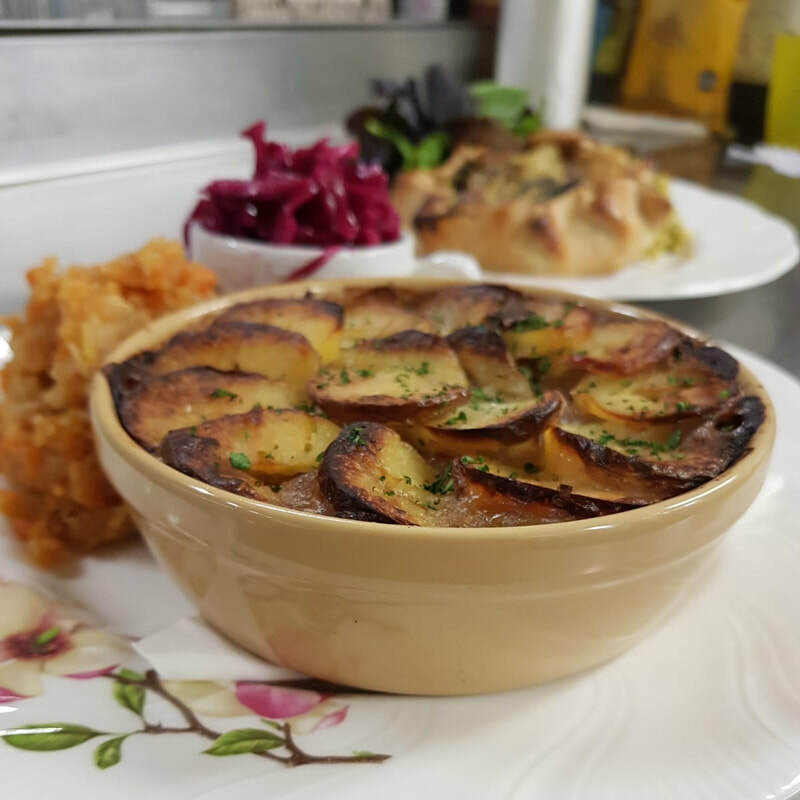 Platters, pies, cobblers and puddings! Click here to see the menu. The Farmhouse Feast will take place on 22nd February, with doors opening at 7pm and the first course served at 7:30pm. 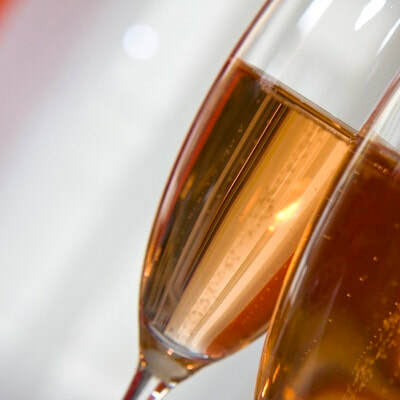 And we're fully licensed, meaning you can enjoy some local ale, fine wine or even some Kenyon Hall fruit gins! Marg H: "Fabulous event - food fantastic with great service, complimentary drink, etc - well worth it. Hopefully going again sometime soon." Judith L: "Great night, wonderful food with good service. Fully recommend." 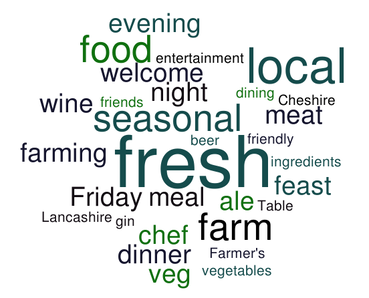 We'd like to offer some local entertainment at our monthly Farmer's Table nights. If you, or someone you know, might be interested in coming and playing some music, reading a poem, telling some jokes or singing some songs, please ask them to get in touch. There's a free meal in it for them!